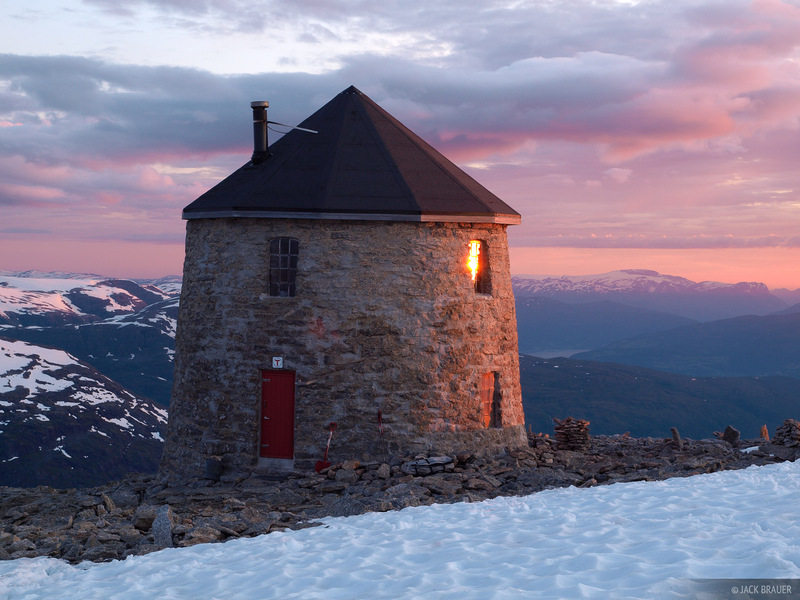 Skåla rises 1848m (6,063 ft.) directly up from the Nordfjord, and thus holds the designation as the tallest mountain in Europe that rises directly from sea level. The reward for the grueling hike up the mountain, besides the awesome views of the Jostedalsbreen mountain range, is a summit hut where you can spend the night in comfort. Photo © copyright by Jack Brauer.